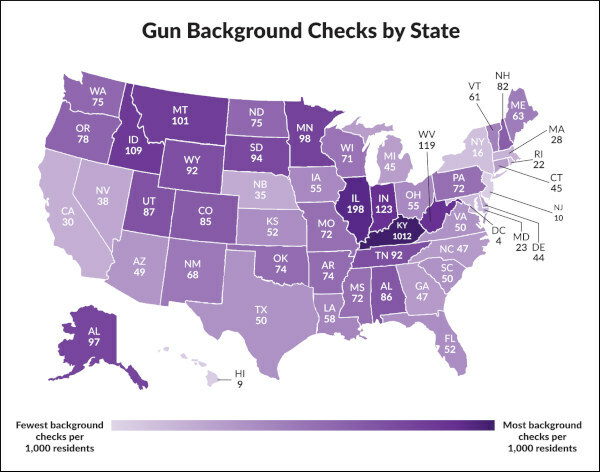 These numbers mean very little in Idaho where if you have a CCW there is no background check. Fill out a 4473 and walk out the door. Over 1/2 the guns we sell in my store are to CCW holders so there is no background check. Same in Montana. CCW = no background check. Every Kentucky CCW holder has a background check each month. 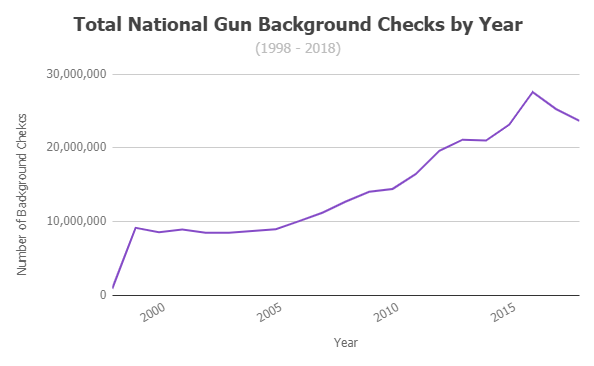 Consequently it looks like every one of us buys a gun each month. That’s not necessarily the case. Also, CCW holders in Kentucky don’t get their purchases called in via NICS. So there’s undercounting and overcounting among us. Having said all that, there’s a buttload of us who own a whole bunch of firearms. The 2nd Amendment is our right to carry in Idaho. As stated by Spencer above, I don’t think background checks are necessary here. Unlike that of the People’s Republic Of Oregon.